The Arabian Peninsula is home to a number of “boom cities,” urban environments where state initiative, oil money, and globalization have led to rapid development. “Cities in the Arabian Peninsula are at the intersection of global energy markets, local and regional politics, international investment, religious networks, and labor migrations,” write the organizers of the Boom Cities conference, hosted at NYU Abu Dhabi on December 3 and 4, 2012. The urbanization of the Arabian Peninsula has led to cultural and economic regeneration and opportunities for modernization and renewal, but also to urban marginalization, shifts in urban social structure, environmental degradation, and increasingly creative forms of public protest. Papers given at the conference by international specialists of urban studies covered these topics in the context of Doha (Qatar), Ras al-Khaimah, Dubai, Abu Dhabi (UAE), Sana‘a (Yemen), al-Madina, Jeddah, ‘Unayzah, Riyadh (Saudi Arabia), Kuwait City, and Manama (Bahrain). Organizers Claire Beaugrand (Institut Français du Proche-Orient, Beirut), Amélie Le Renard (Centre National de la Recherche Scientifique, France), Pascal Menoret (NYU Abu Dhabi), and Roman Stadnicki (Centre d’Études et de Documentation Économiques, Juridiques et Sociales, Cairo) were commended by panelist Ulrike Freitag for their “courage” in convening a conference encompassing such a wide range of disciplinary approaches. Presenters came from a multitude of different backgrounds, including anthropology, history, literature, political science, and biology. The multidisciplinarity of the sessions was productive rather than dissonant, and the papers were complementary, not disjunctive or incompatible. 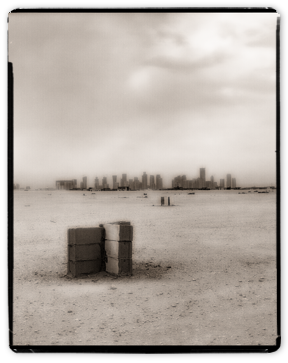 Andrew Gardner’s paper on urban spaces in Doha, for example, which was the first presented, provided a basis for many subsequent presentations, as many found his references to the “interstitial spaces” in the “enclaved” city useful terms with which to articulate their own research. The conference spanned two days and included an exhibition by photographer Manuel Benchetrit, a public lecture by Yasser Elsheshtawy (UAE University), and four panels covering urban development, urban renewal, spatial politics, and urban margins. Papers given at the conference will be published in full in the Fall 2013 volume of Arabian Humanities, an international journal of Archaeology and Social Sciences in the Arabian Peninsula published by The French Centre in Sana’a for Archaeology and Social Sciences (CEFAS). In anticipation of this volume, Electra Street has gathered abstracts and short excerpts from many of the presentations for those who were unable to attend. This paper is built upon an ethnographic foundation, largely a result of two years (2008-2010) spent in Doha, Qatar. In this paper, I attempt to explain and explore how Doha, as an urban built environment, serves and functions in the political/economic context of the Qatari state, I attempt to explain why the city (and, to some degree, other cities in the region) grow so rapidly and constantly, and I posit a fundamental (and often overlooked) urban spatial discourse that, in my estimation, is essential to understanding the pattern of contemporary urban development in the Arabian Gulf. 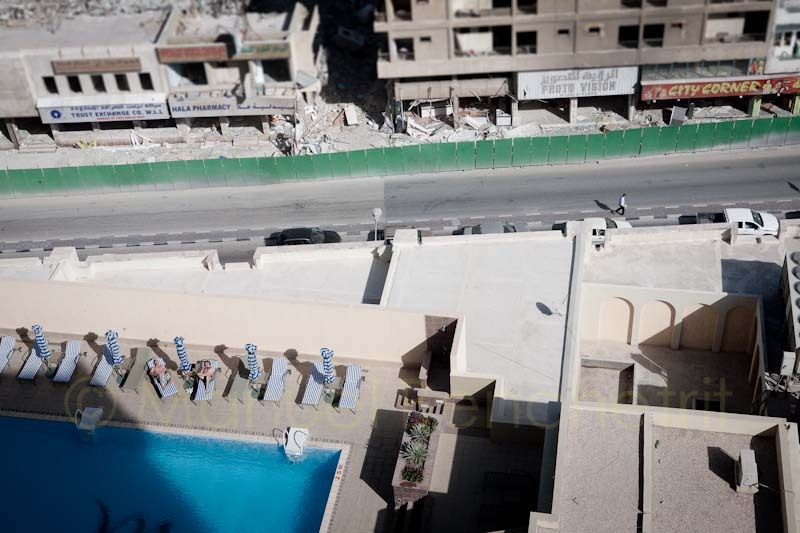 I begin this paper with a description of a prototypical experience of Doha and the lived spaces of the city. This experience focuses attention on the contrast between the “modernity” embraced and fetishized in managed or planned spaces and the chaotic and disheveled interstitial spaces in between those planned spaces. I also suggest that passing over this threshold is a recurring experience in the Gulf City, and one that I return to and reflect upon throughout the paper. The first analytic section of this paper, tentatively titled “The City as a Trophy Case,” seeks to engage and explore the role that monumental architecture and “prestigious projects” — those vast-in-scale supermodern components of Doha’s built environment — play in codifying nationalism. I recognize that cities dialectically function to reinforce nationalisms in the region while simultaneously registering in a cosmopolitan symbolic index of modernity and development. In the second analytic section of the paper, I seek to explore and explain why the pace of urban development is so accelerated in Doha. I argue that while there has been sufficient attention to the public sector’s role in transferring state-controlled petroleum wealth to citizens, real estate and urban development represent a second and unexplored conduit for these transfers. Part of my argument rests on the fact that for every monumental construction built in Doha, there is a less visible sea of construction involving compounds, labor camps, and service industry. I contend that the act of urban growth has become an integral component of the implicit contract between state and citizen. Together, the two processes described above have yielded a city (and, around the Gulf, cities) patterned in a particular spatial discourse. I draw on Aihwa Ong’s notions of “zoning technologies” and “graduated sovereignty” here, and therefore note the many “exceptional zones” that have arisen in Doha and elsewhere in the GCC. In my analysis, this spatialization is about more than the political and economic functions that are the focus of Ong’s work. In Doha, this spatialization, or “enclaving,” appears to be more about the compartmentalization of “foreign matter” (Dresch 2006): amidst unparalleled flows of global capital, culture, and people, the “zoning technologies” used in the compartmentalization of “foreign matter” can be grasped as an essential component of the regulation and governance of these global flows, and more directly, as an ongoing assertion of Qatari cultural identity and belonging to place amidst the proliferation of exceptionalism. Ras el Khaimah refers to both one of the seven emirates forming the United Arab Emirates and to the capital city of this emirate. The present article shows to which extent the city belongs to the model of boom cities along the Gulf and which are its specificities. Ras el Khaimah benefits from a natural environment less arid than the neighbouring emirates and presents a particular identity associated to its history. Today, the authorities show an ambition to recover a lost rank among the Gulf coastal cities. On the master plans the border between virtual and reality is unclear, as is often the case on documents and websites devoted to urban development in the Gulf. Some proposals seem oversized or unrealistic and make an impression or give an illusion that Ras el Khaimah will become a miniaturized Dubai. Ras el Khaimah is the heir of a history dating back to the highest Antiquity. In the Middle Age and the Early Modern Period, it was known as Julfar, one of the major ports in the region. Later, it became headquarter of the Qawassim, a maritime power that presented a firm resistance to British imperial ambition in the vicinity of Hormuz. Like the neighbouring cities, it remained a prosperous port thanks to pearling, before it began to decline in the late 1920’s. Ras el Khaimah is a hydrocarbon-poor emirate and yet it enjoys oil revenues through the federal budget. Remarkable because of its mountainous and immediate hinterland, Ras el Khaimah develops its geological resources with an active building materials industry, taking advantage of the regional boom in the building and public works industry. Companies like RAK Ceramics, a local enterprise that has grown into a global company, or Julphar, a leading pharmaceutical firm in the Arab world, illustrate the early industrial development of the city and show the strong linkage between public and private stakeholders as well as between local and foreign ones. 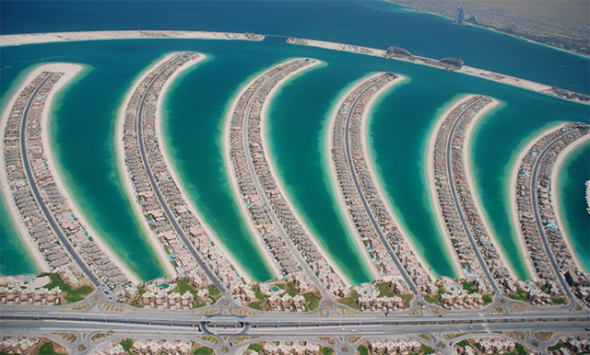 Ras el Khaimah didn’t experiment the same tremendous growth as the biggest cities on the Arab shore of the Gulf. Nevertheless, the population increased from 40, 000 inhabitants in 1980 to 110, 000 in 2005. Like most of the Gulf cities, one can observe faster demographic growth from the middle of the 2000s. Free zones, new property laws, international hotels and resorts, and real estate programs could make Ras el Khaimah appear as a future little Dubai. This hypothesis suffers serious reservations because differences in scale and chronology induce differences in the origin of investors and visitors. Although one can imagine that Ras el Khaimah will compete with other coastal Gulf cities, it is more likely to reflect an economic specialization and territorial ranking as an effect of globalization on an emerging megalopolis with Abu Dhabi as its centre. Most major cities in the Gulf are located along coastlines. The rapid growth of populations and associated coastal urban development may be the greatest threat to marine ecosystems in the region. Some Gulf countries have already developed over 40% of their coastlines, and the pressure is particularly acute in small coastal countries like Bahrain, Qatar, Kuwait, and the UAE, where over 85% of the population lives within 100 km of the coast. Rapid development has led to the loss and degradation of important and diverse coastal ecosystems such as coral reefs, mangrove forests, and seagrass beds, while environmental policy and regulation have generally lagged behind the pace of development. Improved economic valuation of ecosystem goods and services, expanded technical capacity of Gulf nationals, enhanced environmental and social impact assessments, and Gulf-wide policy frameworks need to be developed to stem the decline of the unique and important coastal environments in the Gulf. The city of al‐Madīna represents the archetypal Islamic city as it witnessed the formative years of Islam. As a pre‐modern city, it maintained a continuous and gradual growth since its foundation in the seventh century. This paper focuses on tracing the urban growth process of the city of al‐Madīna in order to reveal how it was historically enshrined in its significant spiritual position. Its major urban elements and institutions all revolved around the sacral significance of the city as a resting place and witness to the life (sīra) of the Prophet Moḥammad, and as the foundation of Islamic civilization. First, the perpetual iconic image of al‐Madīna, as a sacred site, has always been signified by the combined effect of its constituent urban elements such as, the Prophet’s mosque, the historic marketplace, the city wall and other various urban and social institutions and practices. However, the overall contemporary renewal process of the city for the past several decades has had an adverse effect on the cohesion of its urban fabric, social structure and the overall urban character. This is neither a comparison between old and new, nor an argument for or against preserving urban heritage. Rather, it is an analysis of the integrity of an urban system that evolved for centuries, as compared to an imported urban scheme that maintained very few links, if any, with the genesis of the city’s form in its totality, with all its functional, formal, and social constituents. The attempt to explain how the process of regeneration has failed might prove to be a formidable task, but some possible areas of failure will be briefly discussed, including urban policymaking processes versus public engagement. Although al‐Madīna has its own specificity as a holy city, it is still inevitably subject to the socioeconomic conditions of its wider national and regional contexts. Thus, a brief look into the relevant current and future urban renewal trends will be discussed. This paper deals with Sana’a, focusing on the negative effects of rapid urbanization described by the famous Yemeni writer Muḥammad al-Ġarbī ‘Amrān (1958) in his 2001 short story collection ðarīm A’azzakum Allāh (Women, Excuse the Term!). The analysis of the contents of these tales requires a consideration of Yemen’s low rank of human development, high rates of poverty and of population growth, and large gender disparities. In his stories, al-Ġarbī ‘Amrān conveys a wide-ranging rejection of tradition and, implicitly, a strong demand for modernization. On the other hand, he also denounces negative aspects of modernity, such as environmental pollution, disturbing landscape alteration and, above all, social fragmentation and individual isolation in urban and suburban contexts—themes obviously linked to rapid urbanization. Yemenis still chiefly live in rural areas, but they are urbanizing at a much higher pace than any other Arab population. In 1998, 28% of urban residents were living in Sana’a, where construction and infrastructure development has accelerated since the 1990s. Thus, new buildings, towers, roads, tunnels and bridges have consumed the rural and mountain landscapes surrounding the Yemeni capital. Internal rural-urban migration is the key theme al-Ġarbī ‘Amrān tackles in the tales that this paper examines. In one story, the author tries to highlight the contrast between the city and the rural areas, expressing a positive opinion on the traditional life style in Yemeni villages where solid communal bonds offer protection to the people, and where even animals are perceived as full members of the community. In the tales considered in this paper, al-Ġarbī ‘Amrān does not ever describe Sana’a’s famous ancient walled centre, which is now encircled by a huge ring road, mentioning only modern parts of the city or some of its suburbs. 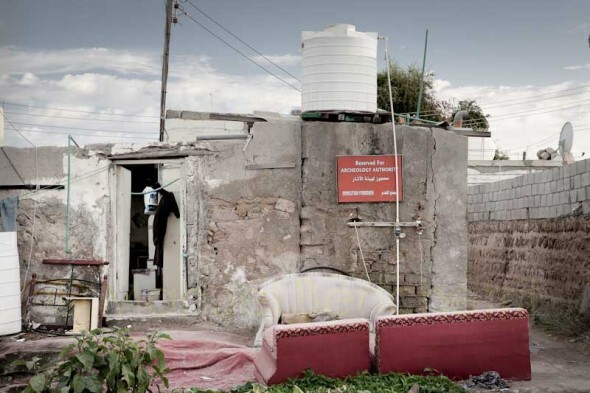 The author tries above all to show how social fragmentation caused by rapid urbanization added to old problems such as gender segregation, racial discrimination, and a general refusal of diversity, forcing many young Yemenis in Sana’a to live in solitude. In fact, the protagonists of his stories are lonely bachelors who had moved from their native villages to the capital. Other tales presented in this paper explore themes of poverty, beggary and violence against women. The Corniche, which runs along the seafront in downtown Abu Dhabi, is one of city’s main centers of outdoor activity, and a diversity of populations comes there for familial or friendly outings. 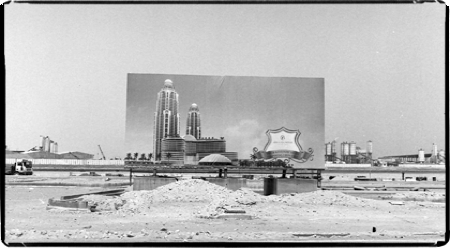 In this paper I question the uses and modes of appropriation of the Corniche by its visitors, and analyze the ways in which urban space is shared between Abu Dhabi’s different groups. The Corniche can first be considered as a showcase for the city. Designed and developed by the emirate’s rulers, the Corniche takes part in Abu Dhabi’s efforts to stand out as the capital of the UAE, and as the center of the Emirati nation. Its skyline has become a symbol for the city and every main event finds a translation on the Corniche. The Corniche also serves as a gathering place for very heterogeneous groups—exceptional in a city where socio-ethnic hierarchies rule over daily interactions, usually defining urban spaces with differential accessibilities and uses according to one’s social status, gender and ethnicity. From the early morning joggers to the evening crowds, including the Asian workers sleeping on the benches during the day or the groups of women picnicking on the grass while watching their children play in the afternoons, the range of practices on the Corniche varies widely according to the time of day, the type of activity, or with whom one comes. With its open access, diversity of populations, and plurality of uses, the Corniche thus appears to fit in with definitions of public space by urban anthropologists. But different categories of the population develop unequal uses of the place in terms of activities or of time spent on the Corniche: those who have access to more private spaces of leisure (Emiratis or Western expatriates for instance) tend to come less often to the Corniche. Moreover, the way space is negotiated between groups is not necessarily deprived of conflicts, as shown by the complaints that led to the creation of the “Family Beach,” an area that excludes single men – i.e. mostly poor Southeast-Asian migrant workers, who are considered a threat to women. I then move on to describe two of the most widespread and visible practices on the Corniche: family picnics and the practice of sports. Both could be considered forms of familial or individual intimacy – being understood as a certain mode of appropriating public space and coping with heterogeneous populations. Picnics on the Corniche are mainly associated with the ahl as-shâm (families coming from Palestine, Lebanon, Syria, etc.) and can be regarded as an extension of the home into public space. They contribute to the constitution of a homogeneous social group, along the lines of a shared regional origin and kind of practice. The practice of sports is probably one of the major activities on the Corniche, whether it is jogging, “fast-walking”, or cycling. The individual nature of these sports allows one to practice alongside others while forbidding different kinds of interactions. This is especially important for young Muslim women, to whom cycling on the Corniche, for instance, provides a good way to put up with social norms without renouncing outdoor sports. Uses of the Corniche then make visible an urban community which is larger than the national community – since most of these Arab expatriate families have been in Abu Dhabi for more than twenty years but have no chance of becoming citizens. We’re left with the question of the possibility, for an ever-transforming space like the Corniche, to become a place of urban memory for the groups that appropriate it.